Rather than putting a handbag on the floor, or over the arm of a chair, you can now keep it in front of you. 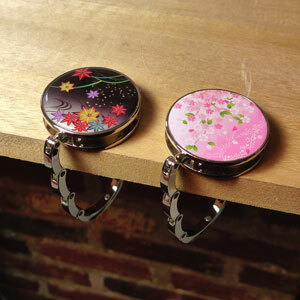 Open this handbag hanger and place it on the table. You now have a hook right beneath it to hang your bag... Cute and clever, it makes a great gift!